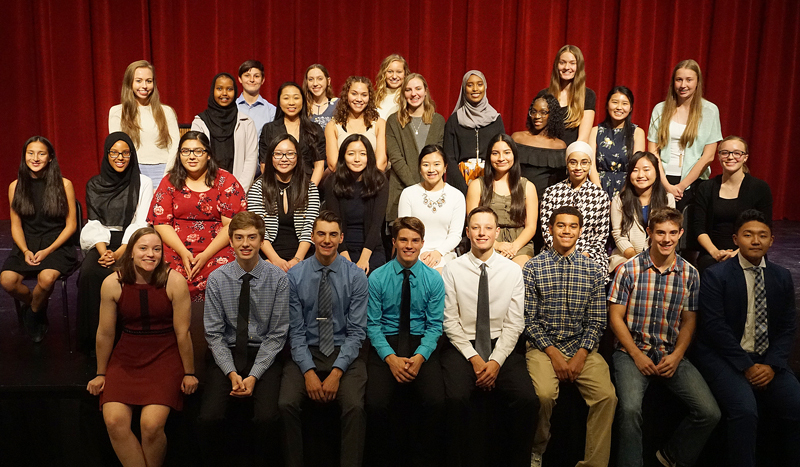 Twenty Fridley High School students became the newest members of the National Honor Society (NHS) when they were inducted into the school’s chapter of the organization on October 8, 2018. NHS serves to honor those students who have demonstrated excellence in the areas of scholarship, leadership, service, and character. To be eligible for membership, a student must have a cumulative grade point average of at least a 3.4. The Vernon C. Knutson Chapter at Fridley High School is open to juniors and seniors through an application process in the fall. Qualified candidates are then inducted, where they will serve their school and community through various activities throughout the year. 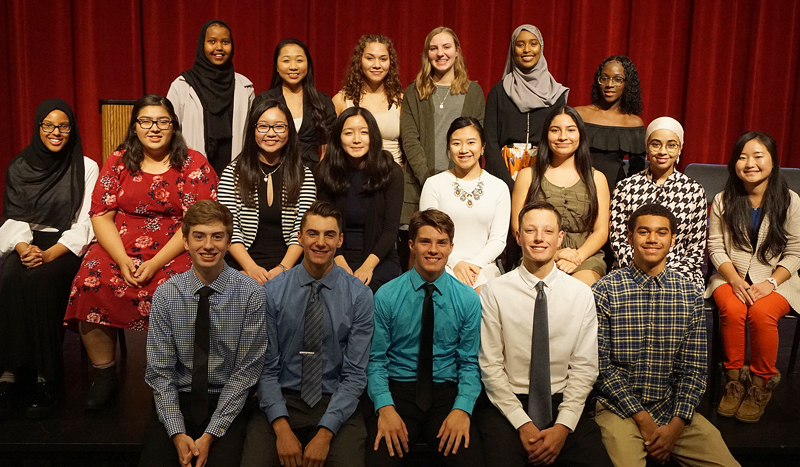 Fridley High School’s International Baccalaureate Diploma Program (IB-DP) Math Teacher Michael Wilmes was chosen by the students to deliver this year’s guest speech. In his speech, Wilmes acknowledged the tremendous amount of time and effort students put in to achieve the distinction, and encouraged them to be the next authors, scientists, programmers and politicians. The inductees each had the opportunity to recognize an individual who has been especially meaningful to them along their educational and personal journeys. The students invited these individuals, which included teachers, support staff, coaches and relatives, to the ceremony where they each received a certificate of appreciation.